Professor of History at Department of Management, Politics and Philosophy at CBS, Per H. Hansen won the Hagley Prize in Business History awarded annually for the best book in business history. 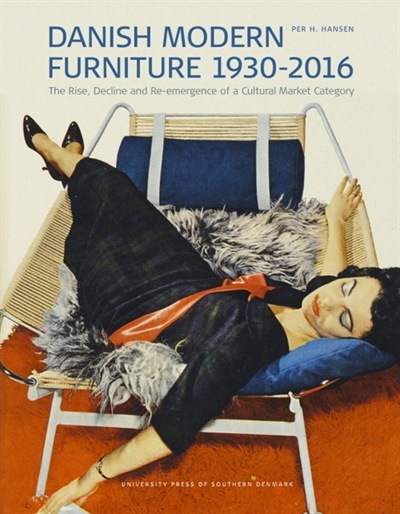 65 books were nominated for the prize and Per H. Hansen won the prize for his book: Danish Modern Furniture, 1930-2016: The Rise, Decline and Re-emergence of a Cultural Market Category, University Press of Southern Denmark, 2018. The prize consists of a medallion and $2,500 and was presented at the annual meeting of the Business History Conference taking place 14-16 March, 2019 in Cartagena, Columbia. The Hagley Museum and Library and the Business History Conference jointly offer an annual prize for the best book in business history, broadly defined.